Personalize your website URL that you will use to sell products online. Set-up your own Facebook Like Page, Twitter, Pinterest, and assign/create your official email (ideally a Gmail account). Submit your contact seller information and photo that we can use to publish in our country-specific page or website. 1. Buy and sell (buy a package and sell it as retail). 2. Use your free website to sell online. You can stock by buying a Family Pack (9 + 1 FREE) or Edge Plus (36 + 4 FREE). This is like buying Laminine at a wholesale price since you get additional FREE boxes + rebates. You can sell your stock as “retail price” while at the same time getting rebates for the stocks you ordered. If you registered under Althea Group, please submit your IBO number, contact seller information and a photo that we can use to publish in our country-specific page or website. Once we have verified your account if, under our team, your link will also be listed on the website. SEO or Search Engine Optimization is a top priority of Althea Group. As an Althea Premium Member, you can be listed in our directory which will include your direct URL link. After your first 2 downlines, continue adding direct downlines until you have 10 heads. 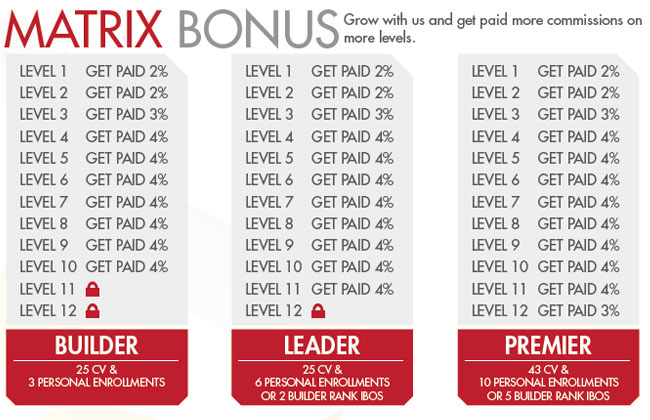 As a premier, your commission for each new downline increases from US$11.25 to about US$23.50 (additional matrix bonus, depending on your status). You can add more direct members (heads) under you to increase your income potential. → Click here to know more about your Virtual Office. IMPORTANT: Your first 3 downlines are important. The Matrix Tree is like an inverted pyramid, the rest of your downlines will be below these 2 accounts. They will get overriding commissions. Each level will get overrides to up to the 12th generation. However, the third account and beyond is considered as “infinity deep – infinity wide” which means you can still get overriding commission beyond the 12th generation. These are just some of the many ways to earn from Laminine. To know more, watch the video on the Compensation Plan. Depending on your network, it normally takes 6-12 months to experience a good income. An average Laminine IBO can get US$100 per week, while an average high earner gets US$1,000 to US$2,000 per week. A platinum director gets at least US$5,000 per week. hi.. how to be a member? I would like to become a distributor in the uk Manchester. Can you send me details regarding cost and options. Hi, we have sent you an email re: Laminine distributor. Let us know if you have registered already. I want to be an althea member, if I join your group how much is the cost of shipment the products per box/bottle? Thank you and more power. Hi, we sent you an email re: membership or distributorship. Please let us know if you still have other questions. Depending on the country you are ordering from, shipping fee is approx. 10-15% of total cost. For Philippines, LBC delivery is free for 3 boxes/auto-membership. 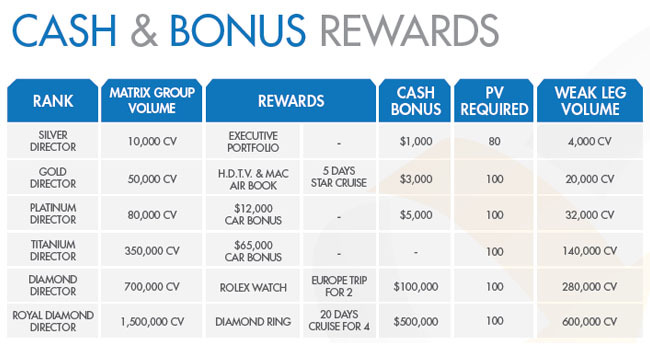 For membership, just order 3 bottles (activation pack) which is US$99 plus more or less 10% tax. Please click here for more info on how to order. Should you decide to join and want to do the business, please send us an email. WANN WERDEN WIR ÄGYPTEN BEKOMMEN IN LIFE PHARM GLOBAL NETZWORK ????? Unfortunately, LifePharm has no information as to when Egypt will be open for direct delivery. It is difficult to send a product to Mid-East countries because they have strict customs and religious law. What you can do is to send it via regular post office, minimum of 3 bottles (DHL has a lot of requirements if you use them). Bitte besuchen Sie unsere Laminine FAQ-Seite, um weitere Informationen zum Verkauf von Laminine zu erhalten. Sie können auch auf Ihr Konto zu gehen, gehen Sie auf Ressourcen-Menü. Is Laminine a MLM (Multi Level Marketing) product like Amway or Trevo? Is Laminine available in India? Laminine is similar to Amway (MLM) but different in terms of the compensation plan. It is not binary.